This is the fascinating true story of a small town boy from Kansas who is drafted into the United States Army at the age of eighteen. Taken far away from everything he knows, this young soldier becomes part of the famous 29th ­Infantry ­Division. Before long he finds himself storming a beach in Normandy, carrying a spare tank of flamethrower fuel on his back and enduring withering fire from German soldiers perched upon the cliffs above. After knocking out an enemy stronghold, he and his section of infantrymen spend many days climbing over hedgerows in the French countryside, always pushing the German forces back despite their own dwindling numbers. Eventually he sustains life-threatening wounds and is sent away from the front lines to recover in a hospital in England. There, as he mends slowly over time, he tastes the other side of life in a foreign land. 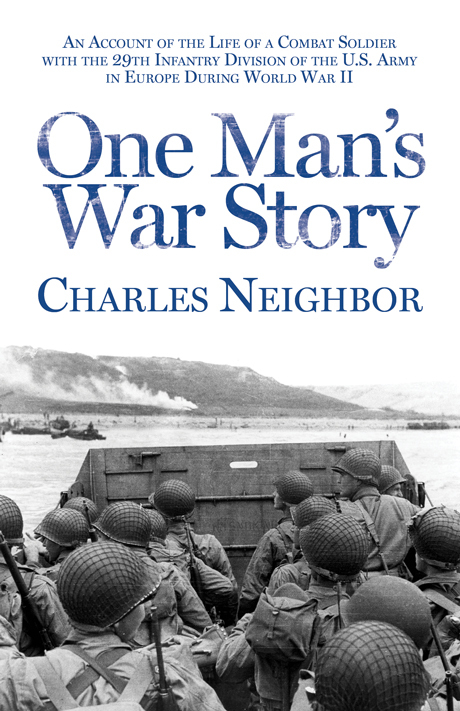 One Man’s War Story details both sides of a World War II soldier’s existence: the harrowing combat and the day-to-day experiences that make life interesting and bearable. Charles Neighbor served with the 29th Infantry Division in Europe for 21 months. In 2013 he was named a Chevalier in the French Legion of Honor.